Patients with severe symptoms require help for spinal stenosis, yet many are not certain how to proceed with treatment. This is because patients might be unclear as to the exact nature of their diagnosis or might be perplexed by the diversity of therapies offered to them by an assortment of care providers. It can all be a very confusing process to be sure. Many patients know that some degree of stenosis is normal, so they might doubt whether their condition falls into the typical range or not. Other patients know that their conditions are severe, yet are not sure whether surgical or noninvasive care is best for them. Fear and misinformation often play major roles in determining choice of treatment. This guide assists patients with spinal stenosis to better understand the nature of their diagnostic conclusions and sets forth recommendations on selecting the ideal therapy, based on the particular parameters of the symptomatic condition. If you have been looking for help for your spinal stenosis, look no further. You have found all the information you will ever need right here. Remember, spinal stenosis is all we cover on Spinal-Stenosis-Treatment.Org. It is completely normal and universal for people to demonstrate a narrowing of the central and foraminal canals as they get older. The process of disc desiccation and the resulting osteoarthritic changes will inherently decrease the available size within the central vertebral canal, as well as decrease the patency of the neuroforaminal spaces due to arthritic accumulations and bone spur growth. If the patient demonstrates other spinal abnormalities, such as herniated discs, atypical backbone curvature, spondylolisthesis or a history of vertebral fracture or subluxation, the circumstances are ideal for even greater than normal levels of central or foraminal stenosis in affected regions of the spine. Stenosis is usually concentrated around the middle to lower cervical spinal area, as well as in the lower lumbar region. These are the spinal zones that suffer the most activity-related alterations that can result in narrowed canal spaces. Therefore, the majority of stenosis diagnoses are found in these regions, from C5 to T1 and from L4 to S1. Being diagnosed with stenosis at these levels should never be a surprise, especially past the age of 40. However, the degree of stenosis found in these areas varies greatly, and this is where the problem comes into play for many patients who are told that their pain is the result of narrowed foramina or a less patent central canal. When does stenosis stop being classified as normal and universal and start to reach the level of pathological classification? This is the question that leads many patients into trouble when it comes to seeking effective treatment. A simple statistical fact shows that many cases of back and neck pain are misdiagnosed. This explains why so few patients find lasting cures for their pain. Instead, most people who seek treatment languish, suffer and never recover. It is a sad reality and one that has driven our patient advocacy efforts for over a decade. Misdiagnosis is rampant, and in spinal stenosis patients, there is no exception to the rule. The problem is that most mild to moderate cases of stenosis are considered completely normal and do not create the types of circumstances that threaten the viability of neurological tissues within the spine. Sure, the canal spaces decrease due to age and injury, but this occurrence is typical for any human to experience. Most stenosis does not cause pain and never will. This is medical fact. Remember, spinal stenosis is a condition that inherently worsens with age structurally, yet the majority of people who cite disabling back pain fall within the ages of 30 to 60. These are certainly not the years where stenosis is at its worst. There is a dramatic drop off of chronic back and neck pain complaints after age 60, even though stenosis will continue to progress to far worse degrees during the remainder of life. This casts a haze of suspicion on stenosis as an inherently pathological process to be sure. Many patients are diagnosed as suffering from stenosis, since they have terrible pain and tests have visualized the presence of a narrowed canal in the neck or lower back. Despite the universality of these structural changes, and the fact that most show no sign of pathological nerve interaction, a majority of patients will be labeled as suffering with stenosis, despite no evidence to support the diagnostic theory. These patients go on to seek treatment and are virtually always disappointed by the results of said therapies. This is because although the stenosis may be resolved, the canal narrowing might never have been the true reason for the pain. 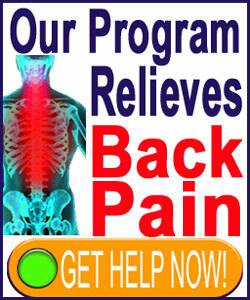 Therefore, the spinal alteration is meaningless to the symptomatic complaint and the pain continues post-treatment. This fact goes a long way in explaining the incidence of failed care practices and unsuccessful surgical interventions for stenosis sufferers. Therefore, our first recommendation is that stenosis diagnosis recipients get more than one opinion on the causative nature of their condition. They should ask multiple doctors if their stenotic changes definitely affect the spinal cord or nerves and demand to see the evidence of such pathological compression. Finally, they must be absolutely sure that their stenosis is not of a “normal and universal” variety, but instead definitively falls within the malignant classification that is proven to cause spinal cord or nerve impingement and subsequent neurological deficits. When the diagnosis is sure that the stenosis is pathological, treatment should be pursued. However, which is the right path towards relief and which path might be ineffectual and unsatisfying? A diversity of treatments exists to combat stenosis, ranging from traditional medical care to complementary medical care to the truly alternative approaches of caregivers outside the usual healthcare system. We will keep this help section super simple and group all therapies as surgical or nonsurgical. For patients who want to avoid surgery, noninvasive care practices are in great supply. However, nonsurgical methods will never act on the underlying cause of stenosis and can only treat the symptoms of the condition, with virtually no exceptions to this rule. Therefore, nonsurgical interventions will not cure stenosis, but instead, will only work to reduce symptoms, leaving the patient in a lifelong struggle against the ever-worsening narrowing of the vital spinal canal. The main exception to this rule of nonsurgical care is the treatment of disc-related stenosis using noninvasive spinal decompression therapy. This treatment may result in a cure without surgery, but this type of transient disc-enacted canal narrowing barely qualifies as stenosis in the traditional definition. Meanwhile, although we are usually very anti-surgery, for cases of verified stenosis that are pathological, an invasive approach might be the best path, since it will treat the underlying cause of symptoms and may result in a lasting cure. To this end, we recommend investigating the least invasive approaches to surgical care, including laser-based procedures, tool-through-catheter techniques and other less damaging methods that can eliminate the stenotic blockages with less trauma to healthy tissues. We also advise to avoid any procedure that requires spinal fusion as part of the process, since this aspect of surgical care is complication-ridden and demonstrates the worst risk factors of any spinal operation. Just remember that this recommendation to investigate surgery is not given lightly. Surgical intervention does demonstrate serious risks and procedures can fail even when the diagnosis is sound. However, for accurately diagnosed stenosis, surgery does a better job of resolving painful symptoms than for any other common dorsalgia diagnosis. This shows that the procedures used during spinal stenosis surgery are targeting the condition effectively and providing better quality of life for many patients who do enjoy good operative outcomes. In finale, be sure to speak to several surgeons and get multiple opinions on the best approach to care. 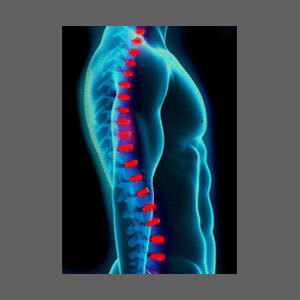 Remember that less is more when it comes to spinal surgery and the less damage done, the better, in most cases. Regardless of the treatment choice you select, we welcome you to share your story on our social media pages to help other stenosis victims gain an objective new perspective based on solid real patient experience.